​WUSV 2016 WORLD CHAMPIONSHIP IPO COMPETITOR"
THE 2015 WUSV WORLD CHAMPIONSHIP WINNER. ​WE ARE SO FORTUNATE TO HAVE STEEL IN OUR FAMILY AND BREEDING PROGRAM. HIS TEMPERAMENT, PERSONALITY, TRAINABILITY, HEALTH AND LOOKS ARE TO DIE FOR!! AT THE TWO DAY TRIAL HE RECEIVED 2 ADVANCED SPECIAL TITLES! HE WAS SUCCESSFUL 6 OUT OF 6 SEARCHES !!!! INTERIOR SECOND, EXTERIOR SECOND, CONTAINER SECOND. SECOND DOG IN CANADA TO RECEIVE AN ELITE SCENTWORK TITLE!!!! UNO IS THE FIRST GERMAN SHEPHERD IN BRITISH COLUMBIA TO GET HIS SDDA STARTER TITLE AND FIRST TO GET HIS ADVANCED!!!! "SIR" IS A PETE X BOSS SON FROM THE "O" LITTER. HE REMINDS ME SO MUCH OF HIS GRANDPA, SLADE!!! SD-S, SP. SD-A, SP. 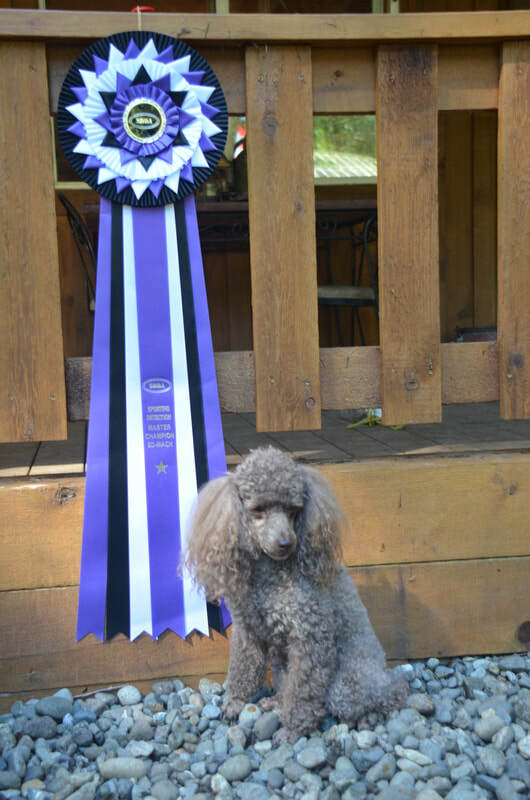 SD-E.
NOODLE RECEIVED HIS SCENT WORK MASTER CHAMPIONSHIP TITLE!!!!! FIRST POODLE (ANY SIZE!!!!! )IN CANADA TO RECEIVE IT!!!!! He has matured into a magnificent boy!